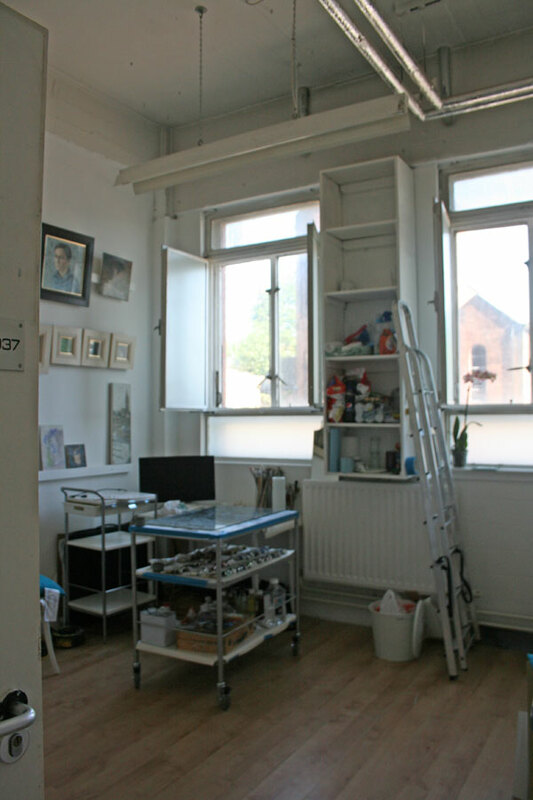 Finally, a pic of the studio in use. Apologies for not posting this earlier, but it has been a tough couple of months. 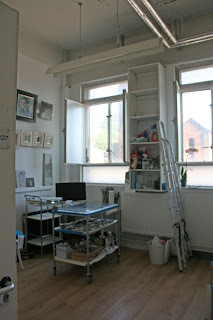 Two weeks after I moved into the studio, I had an op on my right shoulder - my painting arm. I couldn't drive for a couple of weeks and was plenty tired so didn't make it in very much. Then I got to the studio, tried to paint standing up at the easel and had to give up after half an hour. But what a half hour! There and then I decided never to go back to crouching over my paintings . . . So since then I have gradually been increasing the length of time I can paint before my arm starts cramping (presently, about fifty minutes, but repeatable with ten minute breaks for most of the day) and have been working on finishing all the paintings lying around, as well as starting a couple of little ones in time for the open studio in October. Next week I'm off to a residency in Italy with the Jerusalem Studio School , which I'll tell you all about on Sunday. After that I aim to paint big.